It seems to have a good balance of theory and practice, and despite the pop-psych/buzzword/self-help vibe the cover has, the material is fine and the author tries to back up the claims/conclusions with that science stuff. Also, I know I'm breaking the part of the guy code that forbids reading instruction manuals, but cut me some slack just this once, ok? Fire from ashes: the reality of perpetual conversion. Joseph Hunneycutt and Steve Robinson. I bought my copy from Ancient Faith Publishing; I don't know if it's available elsewhere. Wow, it claims to help you achieve happiness, reverse aging and understand emotions? Seems like a wonder working book. 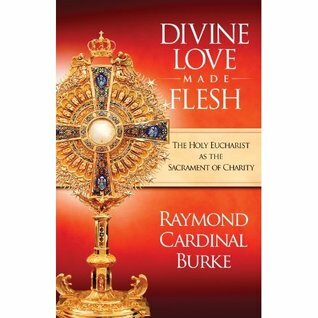 I am going to begin reading Devine Love Made Flesh, by Raymond Cardinal Burke. Book three of Caiphas Cain. The Ambigua, translated by Nicholas Constas. Also just finished Vinland saga book four. I didn't expect that ending. I've started to reverse the age of my pancreas and right lung after only a couple days of working on this. Truly miraculous! Alas, there is still no aging cure for the largest human organ. is that with the accent on the first or second syllable? That book is on my to-read list as well. What do you think about it? An in depth read thus far. I can't give a full assessment of it yet, since I'm only about 1200 pages into it. But I nevertheless highly recommend this book for anyone truly interested in the subject. The author does a masterful job of defending his thesis without confusing readers with clarity or burdening them with brevity. This is a book that will definitely leave you saying, "I read that book." You might not agree with all of the author's opinions, and you certainly won't understand everything he says; but this work will force you to consider vital questions, such as, "why did I read that book?" For those interested reading this book, you may have trouble finding a copy. The book was originally written in Dutch, with a subsequent German translation by Gustav Von Snitzenburg. An English version of the book (pictured above) was published in 1958, but the book quickly went out of print due to lack of sales (most likely due to poor marketing.) But if you look hard, you can find rare copies available online; but it might cost you up to one or two dollars, depending on the seller. Also your text is linked to the image download site. Care to give more info on the book, like the publisher? -- shouldn't be to difficult. Just one of my silly jokes. I'm goofy sometimes. Forgive me. No thoughts yet, but I'm only working through it slowly since I'm trying to read a bunch of other ones at the same time. I'll try to remember to post after I'm a good bit in or finished though. I think you were the only one who realize this whole thing was a joke. It's garbage like most stuff the England ever produced. They were good at enslaving peoples within and abroad and that's about it. Oh, and they had one decent playwright. That's about all you need to know about English "thought". Oh how I suffer the love that dare not speak its name! Not all of the English thinkers were bad. Hobbes and Hume, for example, are quite interesting. English philosophers had something that their counterparts on the continent often lacked - common sense. English philosophers are often preferable to those vague German thinkers. That being said, I don't expect much of JS Mill. "Interesting" does not preclude one from being "bad." Hobbes and Hume are awful thinkers, in that they are irrational the majority of the time and immoral. The English school has always been remarkable for missing the point, and this just got steadily worse up to such dazzling ignoramuses as Wittgenstein. Hume spent thousands of pages misunderstanding des Cartes, and Wittgenstein drafted hundreds of "analytic" syllogisms misapprehending Kant. Embarrassing, really. Some are eager to excuse them because ( a ) they are English or American and our schooling exonerates them or ( b ) they find their amorality is enticing, covering a multitude of intellectual sins. "Interesting" does not preclude one from being "bad." Hobbes and Hume are awful thinkers, in that they are irrational the majority of the time and immoral. Irrational perhaps in the sense that the English philosophers rejected Cartesian ultrarationalism and somewhat abandoned the idea of men as rational animals. In this they were right, and Locke's and Hume's empiricism was a step in the good direction. Now I don't see how they were immoral. I don't agree with Hobbes Leviathan on several key issues, but it raised some interesting questions nonetheless. But immoral? No. John Stuart Mill's book is wonderful if wonderfully misguided. The poor kid -- reading Greek at three -- raised by the dullest and most obtuse man in English letters, Mr. Bentham. He really had the heart of a Rousseau or Schelling -- but his mind was fastly imprisoned by his upbringing. 'On Liberty' is one of the few books of English philosophy well worth reading. He really had the heart of a Rousseau or Schelling -- but his mind was fastly imprisoned by his upbringing. 'On Liberty' is one of the few books of English philosophy well worth reading. Rousseau was a nutter. If he'd be alive today he would probably be locked up in a mental institution. 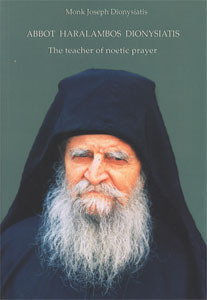 After reading the new biography Elder Ephraim wrote about his Elder Joseph, I wanted to read more about the monks who were the disciples of Elder Joseph. I am enjoying it. LOL, That was hilarious. I'll be the first to admit that you fooled me. Well played sir. ^ I am enjoying it. I have been using his glossary and Google to look up words such as "speely." I think it would make a cool movie. Runs a bit long. Maybe some TV channel can make a mini-series out of it. Jesus Fallen? By Father Emmanuel Hatzidakis (GOA). Just started on this lengthy book on the prelapsian/postlapsian discussion of the Incarnation of Christ. Might have been able to start sooner had Customs been a bit quicker. I consider the Bible, to a degree, and many spiritual books like Orthodox Prayer Life, The Ladder of Divine Ascent, Way of the Ascetics, Unseen Warfare and more to be instruction manuals. They instruct you on how to grow closer to God/finish the race/Theosis etc. THE UNIVERSE BENDS TOWARD JUSTICE: A Reader on Christian Nonviolence in the U.S. Although it's far from an Orthodox book, The Closing of the American Mind by Alan Bloom. He went too far. He really shudda kept with the pulpier shorter stuff. This was by far his worst effort. Guy Code just saying that seems to preclude you being part of those who would need this text, speaking of which, is trash. What are you "reading" this for? Oh it would go ever well with many here. It is definitely Ameridox. They are hiring everywhere in Pittsburgh. I literally couldn't order from Taco Bell before I submitted an application. Having worked there before, if you wanted to actually understand what Camus is incapable of trying to get across in this text, I would suggest taking Taco Bell up on an offer.